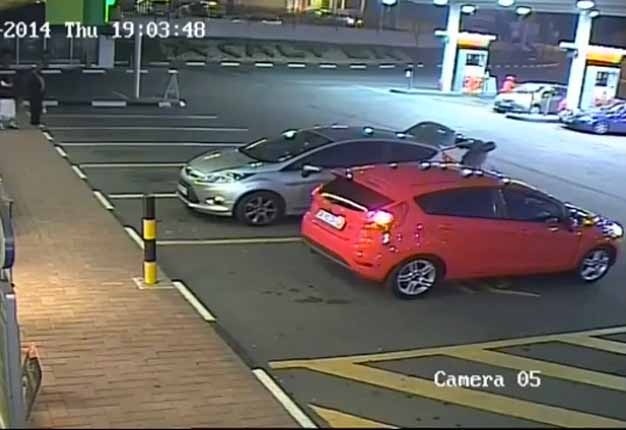 JOHANNESBURG, Gauteng - There's a new breed of criminal out there, one that steals by remote control and is cool enough not to make passers-by suspicious. They're called jammers and what they jam is the radio signal sent to your car's door locks from your key fob as you stroll away from your car; you think it's locked, but it isn't. The doors and boot are still open and the thieves are probably just a few metres away, waiting. Until you walk into the takeaway shop, the shopping mall, even your home. Whatever is on your back seat, in the boot or footwells becomes past tense as the thief, getaway car nearby, casually loots whatever there is to take. Perhaps even your house keys? The crime is on an upward trend; jammers, after all, can be bought through the internet - did you know that? And your insurance company is unlikely to pay out because the thieves leave no sign of a forced entry... oh, you didn't know that, either? October notes that this puts victims in a tricky position when it comes to proving to their insurers that a theft actually took place because there are no signs of forced entry. The only counter to jamming is to press the remote unit's button close by your car (yes, we know it's cool to walk away and watch your indicators flash!) and then try to open the driver's door for confirmation that the locks have engaged. NB: This won't work with some upmarket cars because they are programmed to open at first touch of the door release if the remote control is nearby. • Park your car in a secure car park where there are many vehicles and security personnel. • Lock your car when driving and when parked. When using a remote, double check that the locks have engaged. • Empty your car at the end of each day - the more stealable stuff in it, the more lilkely you'll lose it all. • Never leave house keys or important papers in your car. • Don’t leave car registration papers in your car. • Install an alarm system on your vehicle. • Install window safety film - it repels casual smash-'n-grabbers at traffic lights. • Make sure you have adequate insurance. Seeing as how Dial Direct saw fit to send us this information, you might care to give them a call first. Car-jamming is on the rise at an alarming rate. Insurance company Aon South Africa spoke to Wheels24 and showed how this criminal activity works. Hijacking, remote-jamming, corruption… South Africa’s roads are fraught with danger and knowing how to deal with threats could save your life.